In this age of gaming, sound quality has become just as important as the content of the game itself. I've found myself wondering how gaming, especially on the PC, has taken such a dramatic jump since the days of playing King's Quest on my Tandy 1000. It's not just about the graphics card or processor. Having the right peripherals is what takes a good experience to the next level. 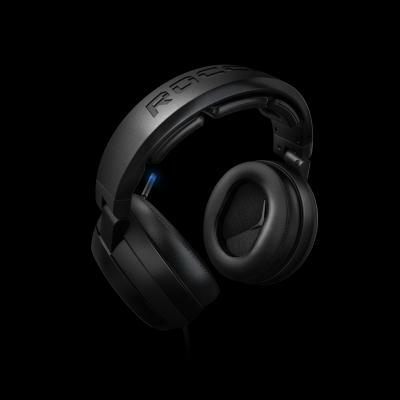 Roccat Studios believes in this wholeheartedly, offering up true 5.1 surround in the form of the Kave 5.1 PC Headset. The Kave 5.1 is not for those who like to wear smaller headsets. In order to get the true surround sound, you have to have a headset that can handle the drivers for it. The Kave sports several speakers in each earpiece that are carefully angled to give you the rich surround that you want out of your gaming experience. Simulated surround speakers do an okay job, but you will notice the difference when trying out the Kave against those that try to give you surround with just two speakers. The sound is rich and without distortion at comfortable volumes. The effect that one gets with surround when playing your PC games, whether it be an FPS, MMO, or anything else, is quite impressive. Testing out the headset while playing Star Wars: The Old Republic, simply rotating the camera around yields the surround impressively, whether it be monsters attacking or simple noises when on the Imperial Fleet. The headset is designed for comfort as well as for sound. The earpieces sport plenty of cushion to rest on your ears without any sort of discomfort. On the headband of the headset are three cushions as well to give comfort that supports the weight of the set on the top of your head and not the ears. I did find that, at certain positions, the headband could cause a slight bit of discomfort for a long period of time, but simply adjusting it to a new position would solve the problem. Beyond that little issue, I found the headset to be great for just about anything, whether it be for music, videos, or gaming. As expected with any surround headset, you will have multiple plug-ins to utilize the surround. Without a sound card that supports 5.1, though, you can still use the headset for simple stereo sound. The microphone that comes along with the headset is detachable, locking into place with another jack that is similar to a 3.5 mm plug, just shorter and a little thicker. At the tip of the microphone is a LED light that, when you mute the microphone, will light up to let you know that it is not able to pick up your voice at all. Muting your microphone, controlling your volume level, and adjusting the surround settings are all taken care of by the attached remote to the cord of the headset. A simple dial and individual slide controls allow full customization. The only downside to this is the distance in which it is located on the cord. There is only about three feet between the headset and the remote, so depending on your desk layout, finding a suitable place for the remote is important. If it falls, it will pull on the headset, which can possibly damage the remote or the cord itself. Also, it needs to be noted that the headset has a fold-up feature that makes transport quite easy, simply closing itself up into the headband to make it smaller during travel. While all of these features and functions make the headset an attractive piece, the most surprising part is the price of the Kave 5.1 itself. 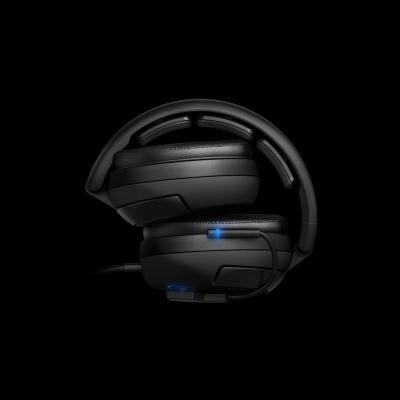 Looking at comparable headsets such as the Megalodon and the G35, which are both priced at $149.99, the Kave 5.1 is currently on Amazon.com at $109.99. 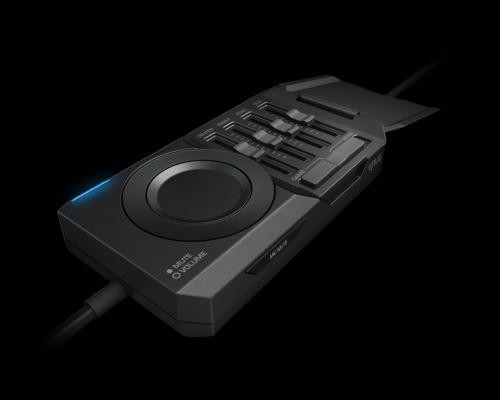 Of course, you can pick it up at Newegg as well for the same price, unlike the difference in price that we found with the Isku Keyboard. 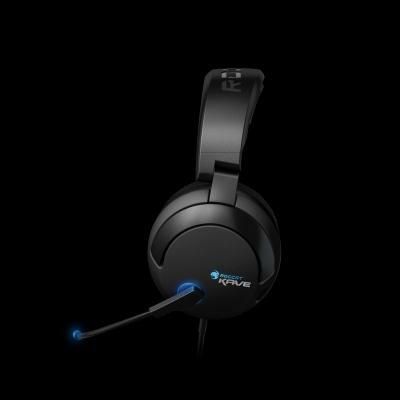 The Kave 5.1 Headset provides fantastic surround sound for just about any use a gamer can think of. In a time where there are so many options for headsets that might offer some features, it's great to see a product that offers everything you need without breaking the bank.